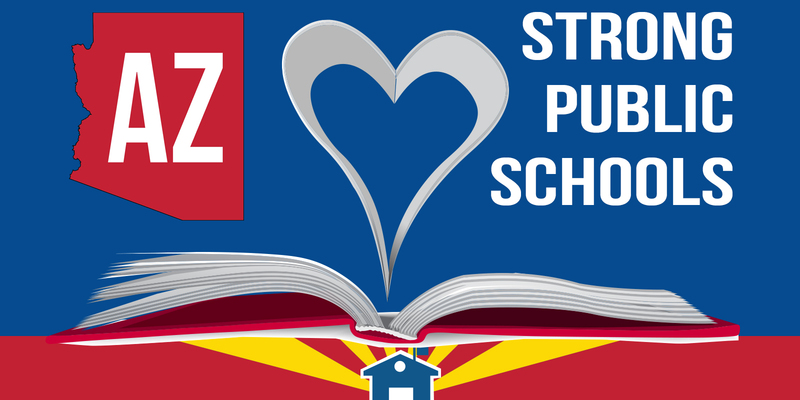 TUCSON, Ariz. – Arizona educators rallied together Wednesday to support public education and bring their concerns about education funding to the Arizona State Capitol. Teachers say a lack of funding is hurting public schools and affecting students. Multiple “Lifting Our Voices for Education’ or L.O.V.E. rallies were held in Phoenix, Prescott, and Tucson. The rallies were to show support for public education and give people an opportunity to write letters to their state representatives highlighting the growing problems for schools and what they would like to see change. Dustin Williams is the Pima County School Superintendent and says there are about 2,000 teacher vacancies in the state, which is far too high. Sunnyside School District teacher Carol Steffgen has been teaching for 34 years. Her message to state representatives is to invest in public education because it is important for every student in the state. She says the lack of state funding and a low teacher salary is making teachers leave. AZ Schools Now states the budget is shirking every year and now they want to fight to get that money back. “It is the most important thing is to give these students an education and inspires them to do something great,” said Williams. There will be a march held on March 10th in the morning month at Tucson Unified School District office to continue this talk about the lack of education funding. Originally posted by kgun9.com on 02/14/2018.